Join us for a Discovery adventure for the whole family on Feb. 20th at Seascape Golf Club from 4-7pm where you will find tasty samples from local restaurants, innovative businesses, childrens entertainment, first responders, and favorite non-profits all in one location. Bring a friend or a business associate to enjoy a fun filled evening exploring the best santa cruz has to offer. There will be coupons, prizes, raffles, samples, give aways, games and much more. A Golf clinic will be offered for young adults by the Seascape Golf Course Pro’s. Enjoy the best your community has to offer. 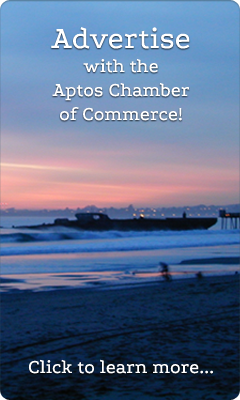 Admission is just $5 or stop by at the Aptos Chamber office for your complimentary pass.we look forward to seeing you on the 20th at the Seascape Golf Club from 4-7pm. I’m interested in attending your Seascape Golf Club event. 1. Do we need to register to attend the 2/20 4-7pm event or can we just show up at door? You do not need to register to attend – it is open to the public! The Cost of Entrance is $5 – HOWEVER, you can stop by the Aptos Chamber Office, or look for our ad in the Santa Cruz Sentinel to receive free admission pass! Sounds really interesting and lots of fun really looking forward to meeting a lot of vendors hope to see you there Dolores .